Award Baby's First Year Record Book | Multicolour | Helps to keep memo. 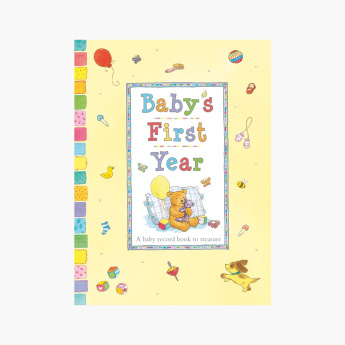 Record your litlle one 1st year special memory with these books . Record your little one’s milestones and other important memories in this beautiful record book. This book helps you to track all dates and moments in a most organised manner. Feature 2 : Tracking all dates and moment of your little one once and forever.